2 images. 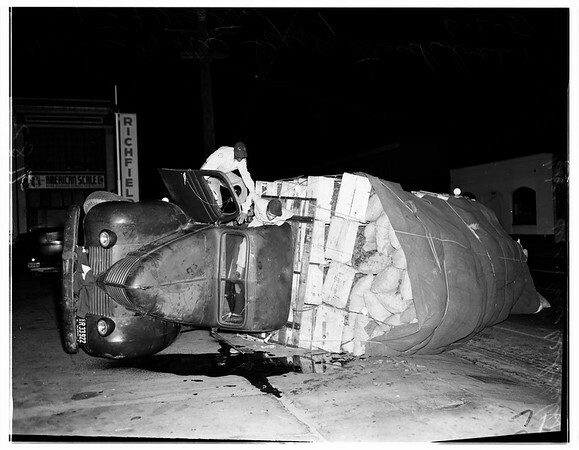 Truck accident -- 7th and Decatur, June 6, 1951. Driver being helped out of Adler Mills Supply truck loaded with war surplus web belts.